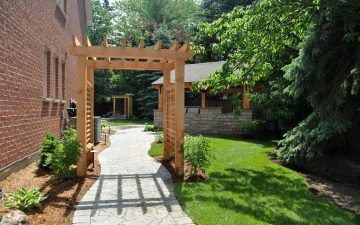 Architectural Structures in Landscaping. 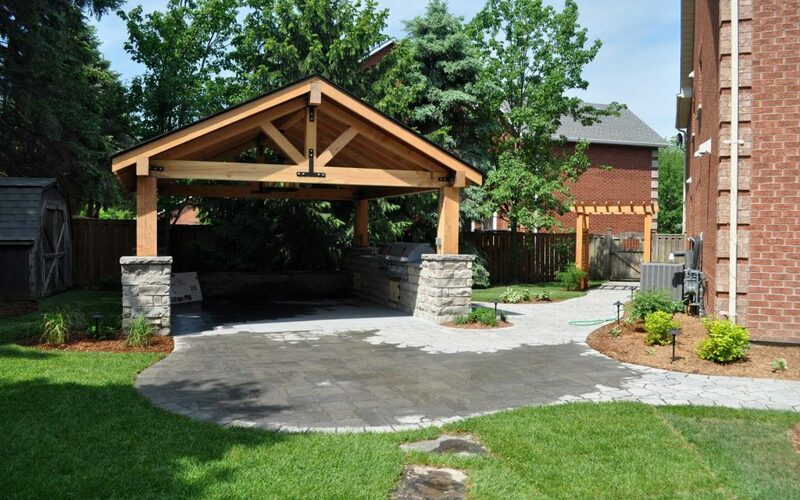 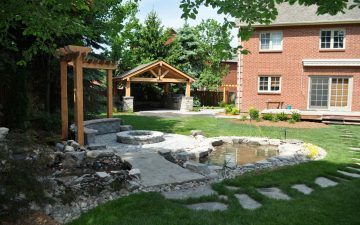 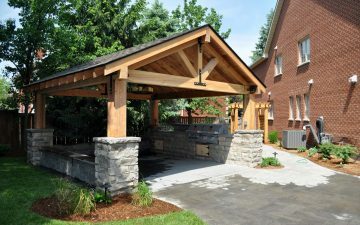 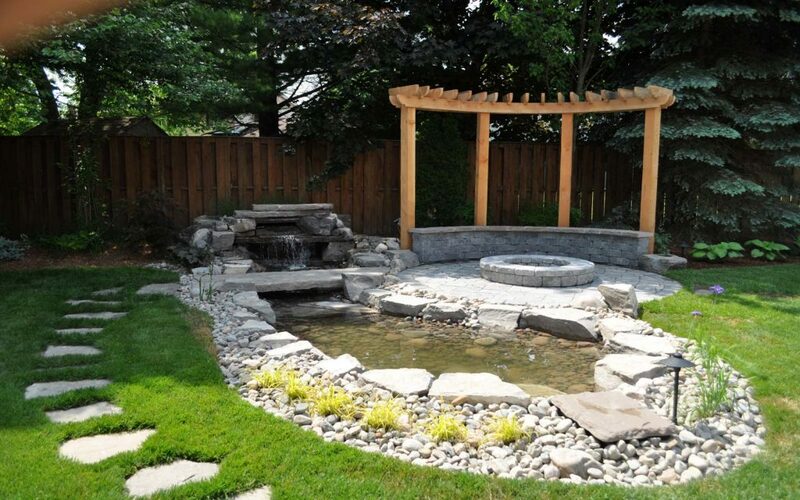 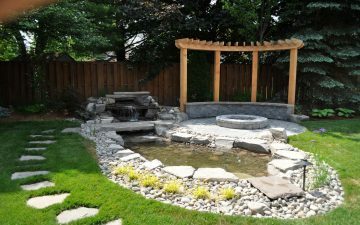 Markham Gazebo, pergola, fire pit and pond. 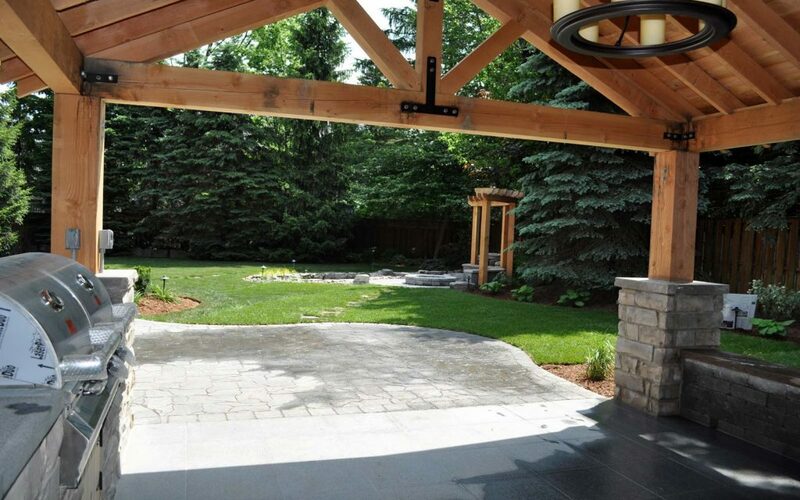 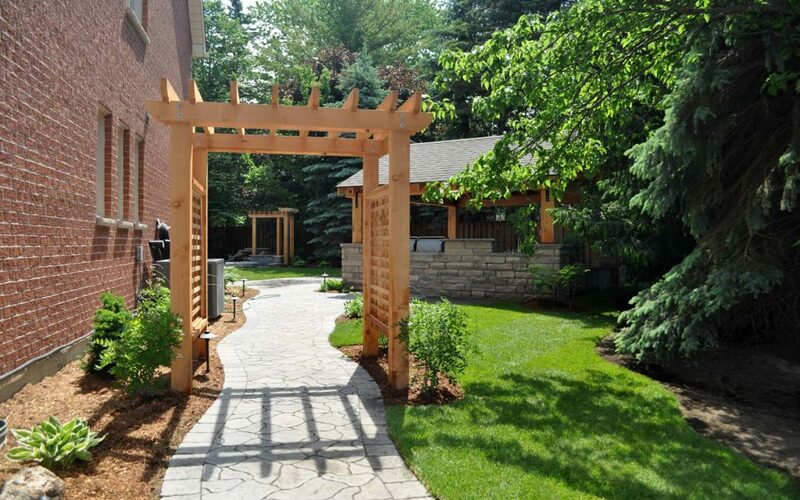 Pergolas and gazebos incorporate beauty and function to this backyard design. Those structures provide seating, shade, and comfort outside your home. A thoughtfully designed rustic style gazebo with outdoor kitchen define a separate dining area from the rest of the yard and treated as an extension of client’s home. 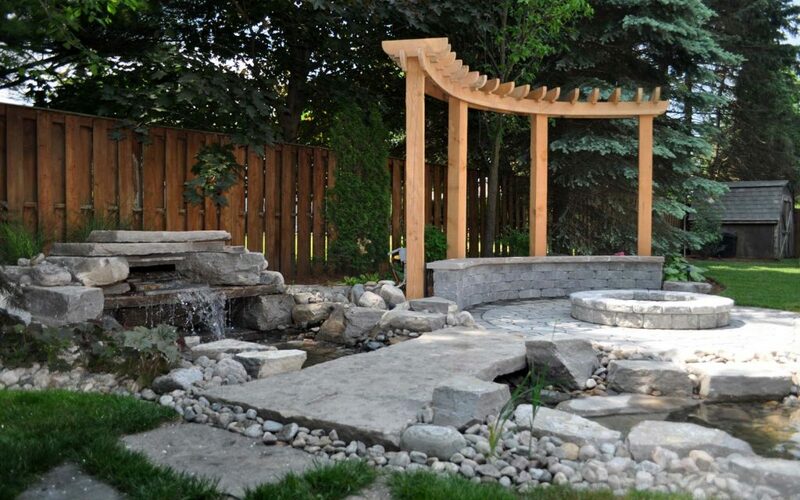 A cedar curved pergola provides structure over the fire pit seating area, creating a beautiful and cozy setting by the stone waterfall, pond with fish and natural stone bridge. 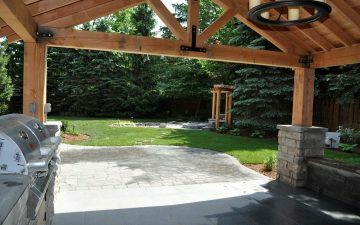 Flagstone stepping stones connect all areas of the back yard saving green grass space and creating natural style of the landscaping.